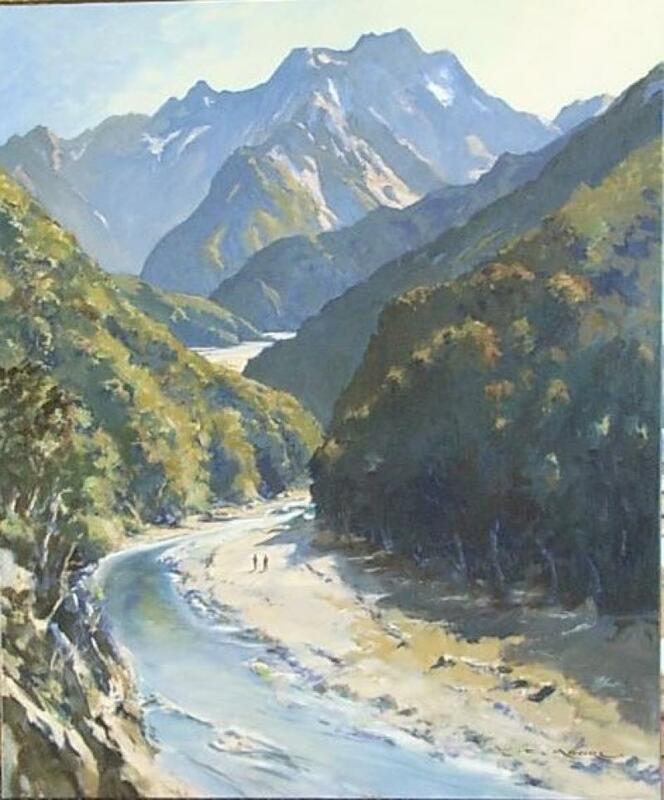 Born in Christchurch in 1934, William (Bill) Francis Moore studied at Canterbury University School of Fine Arts, Christchurch Teachers College and St Martins School of Art in London. 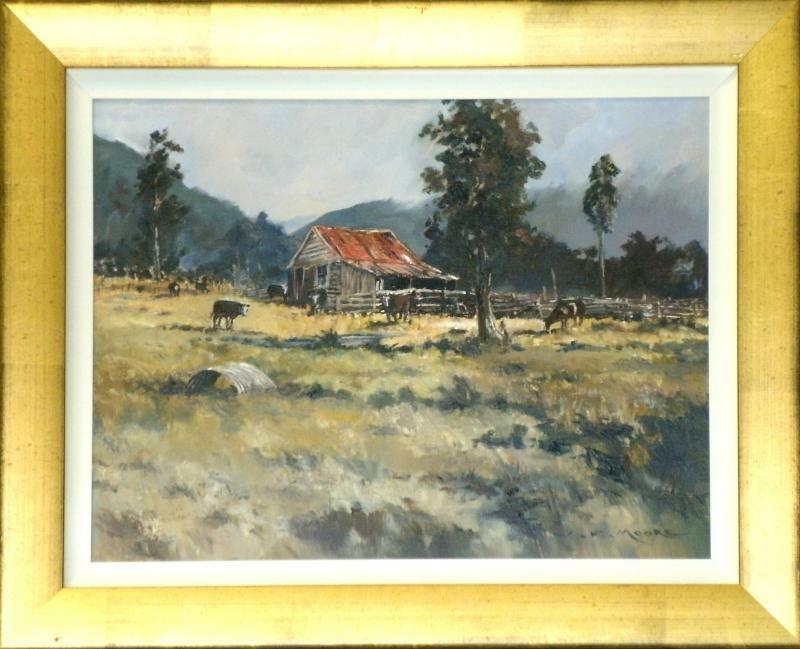 Bill taught art for thirty years before resigning in 1987 in order to pursue his painting full-time. 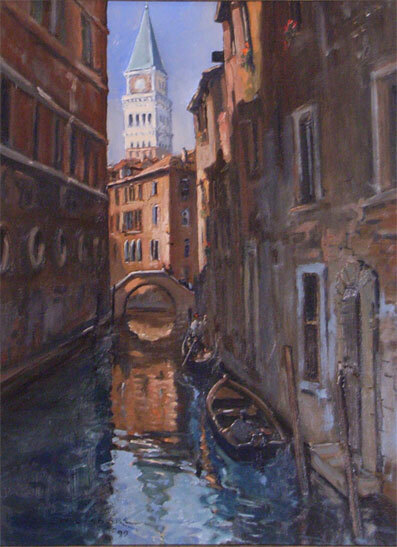 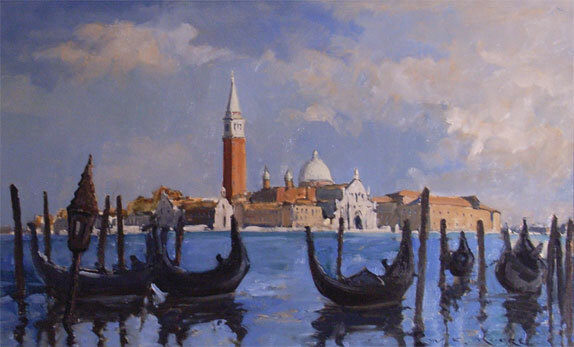 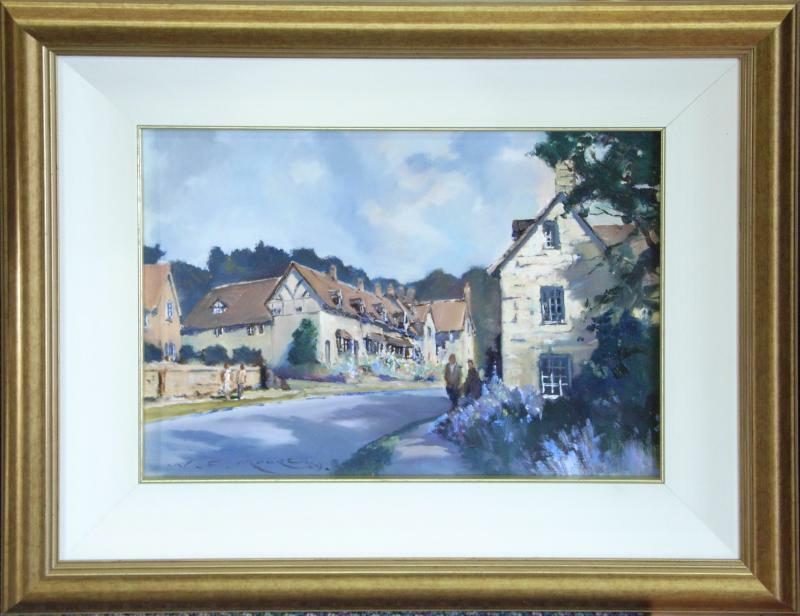 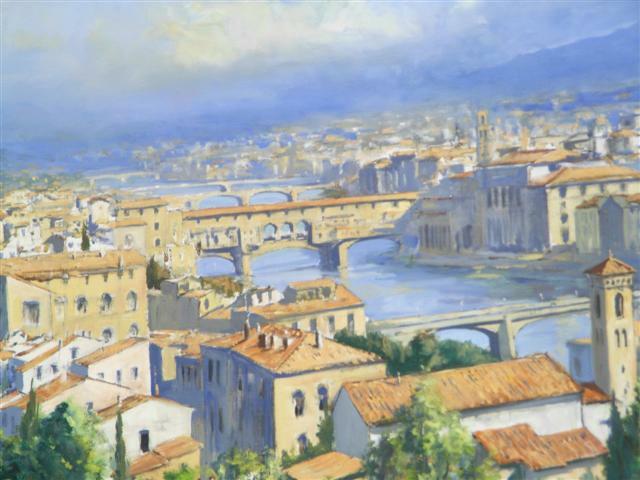 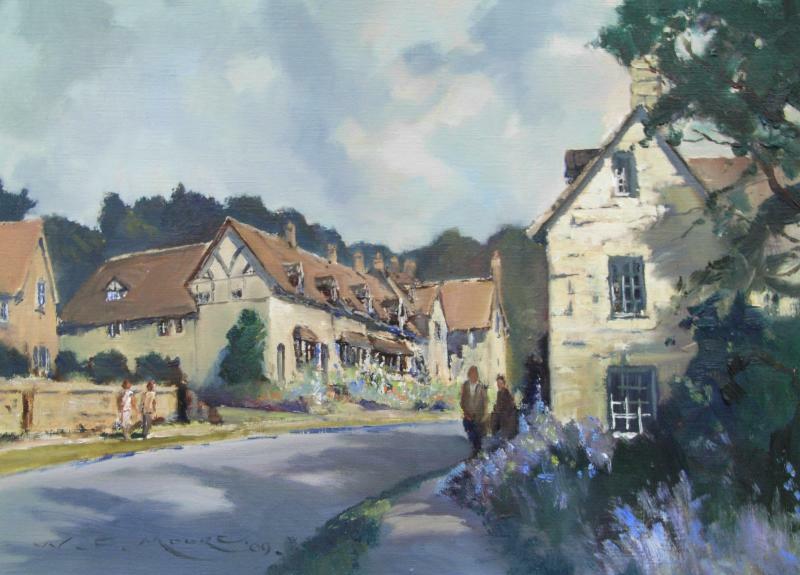 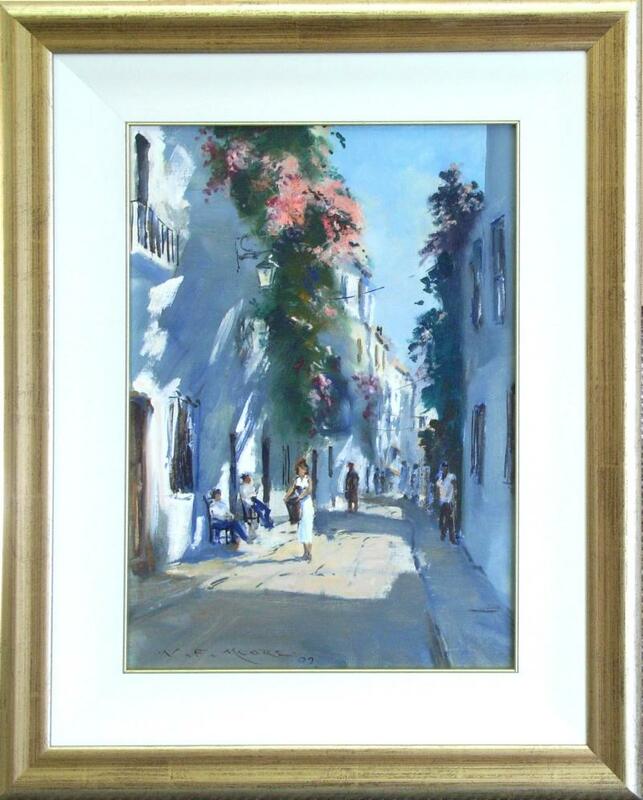 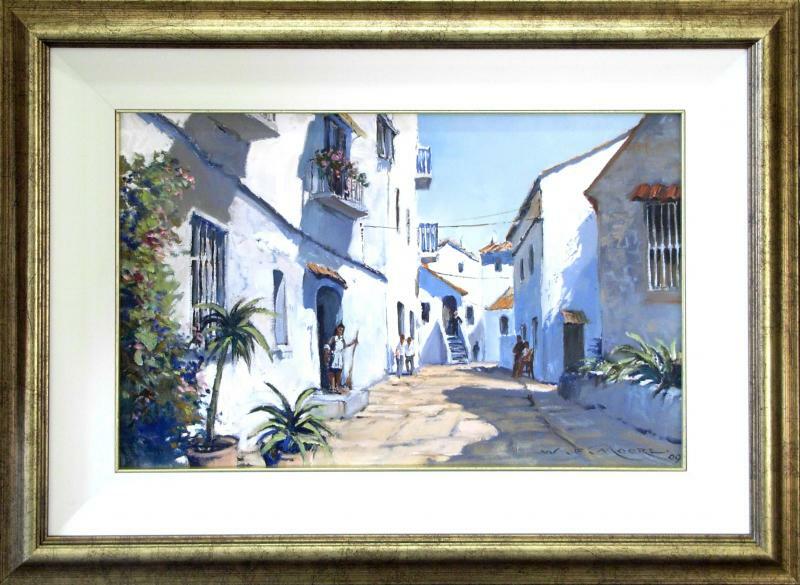 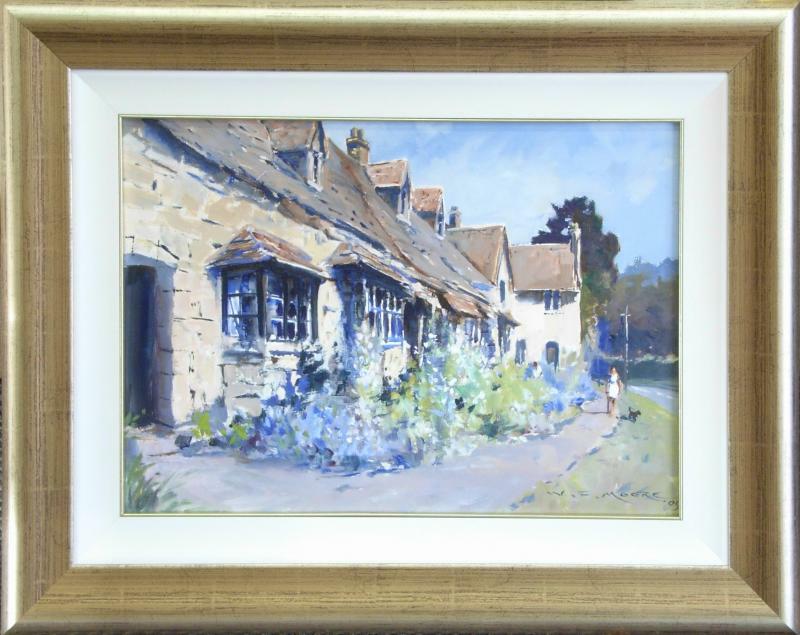 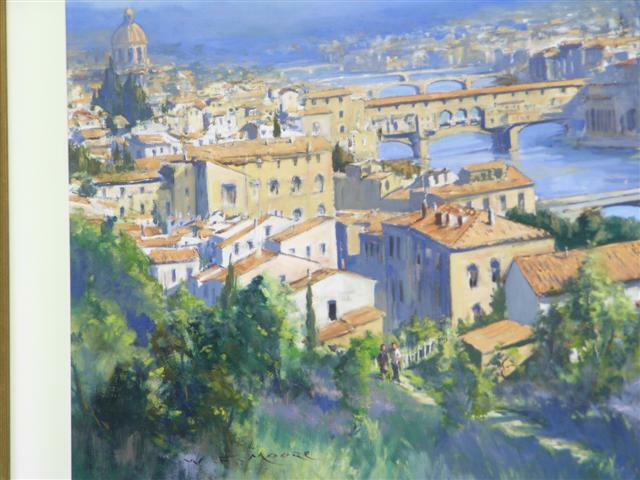 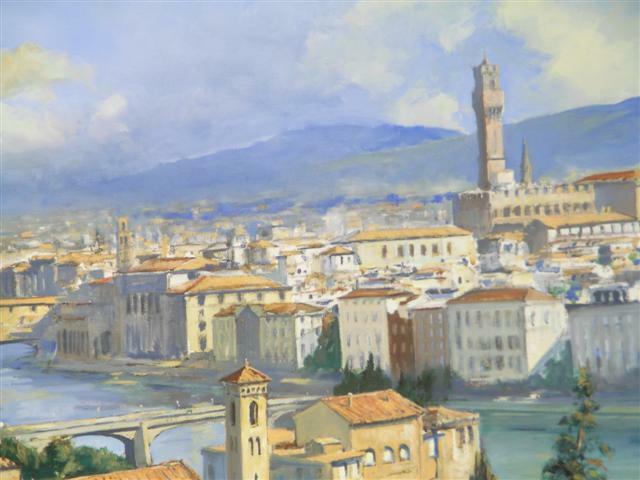 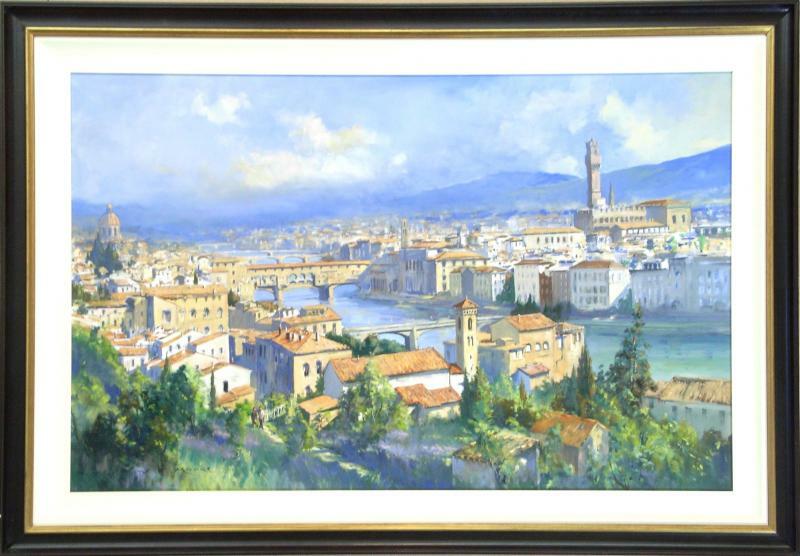 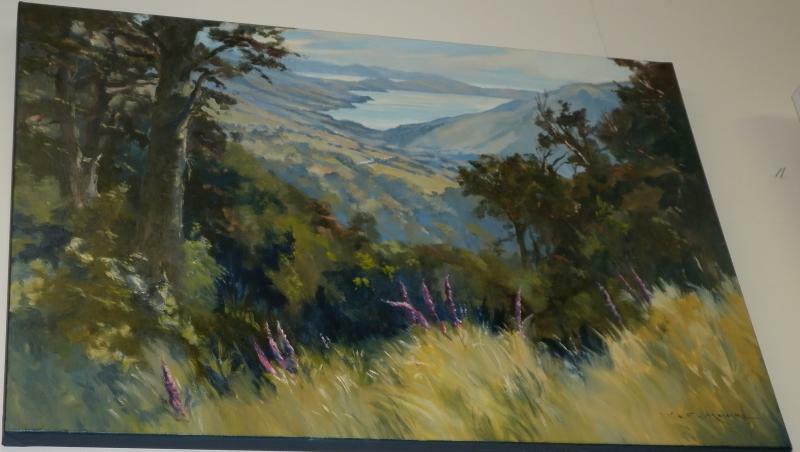 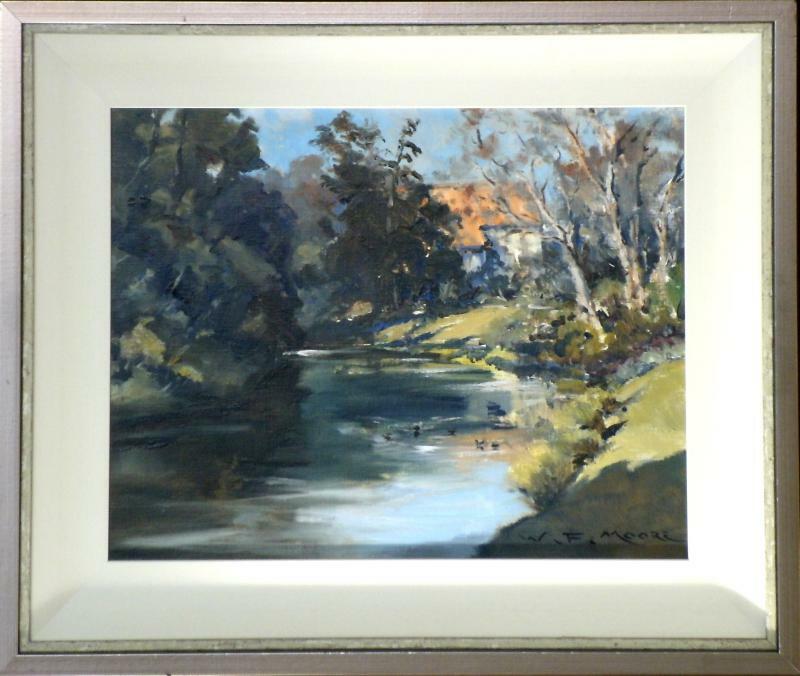 Working in both oils and watercolours, he travels frequently finding inspiration in Europe as well as locally. 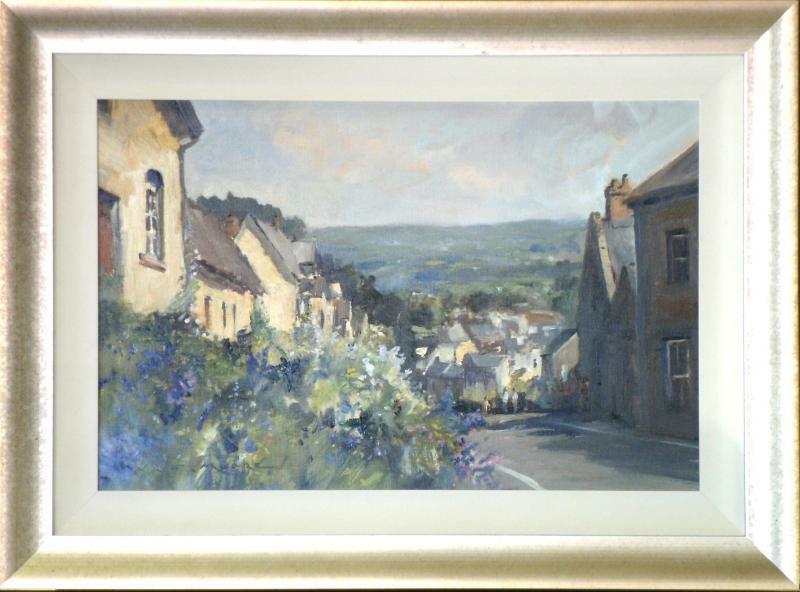 In 1988 Bill won the Shell Art Award for watercolour. 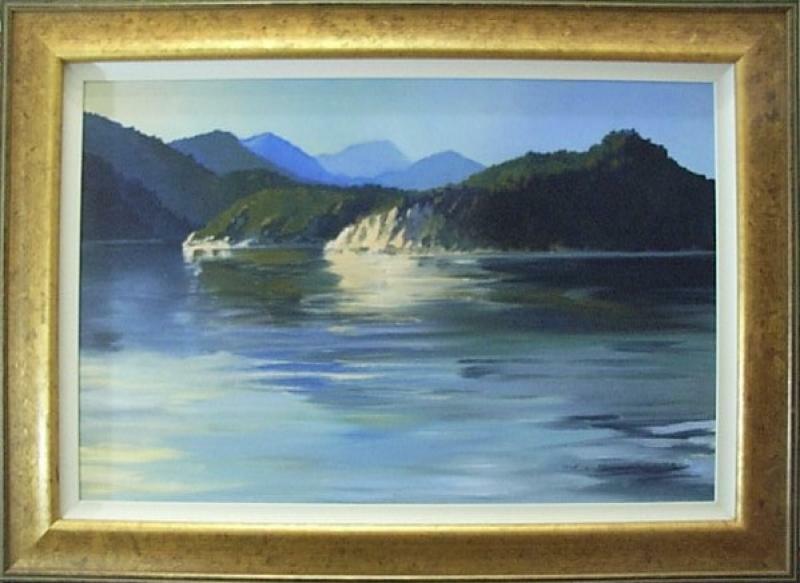 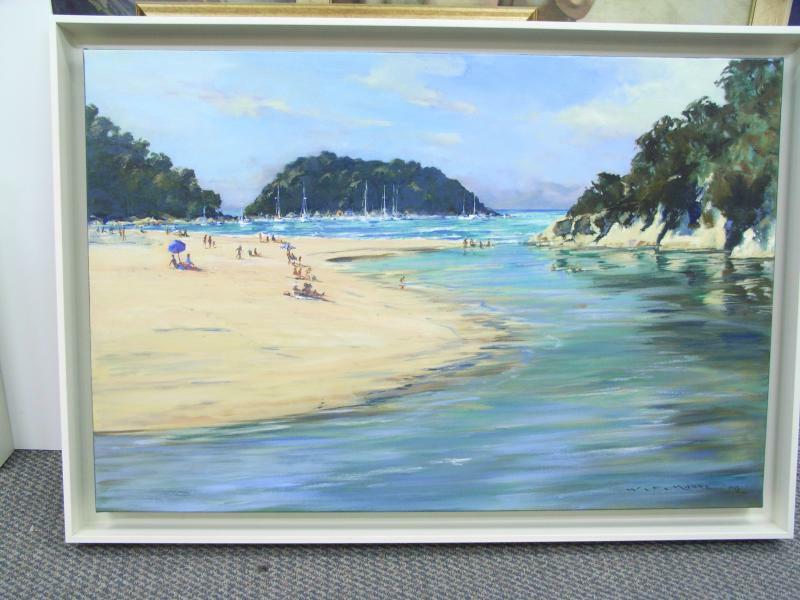 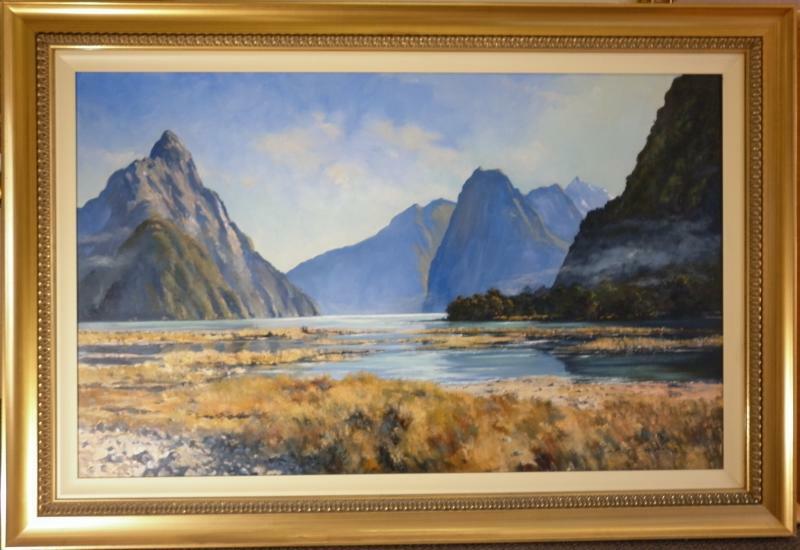 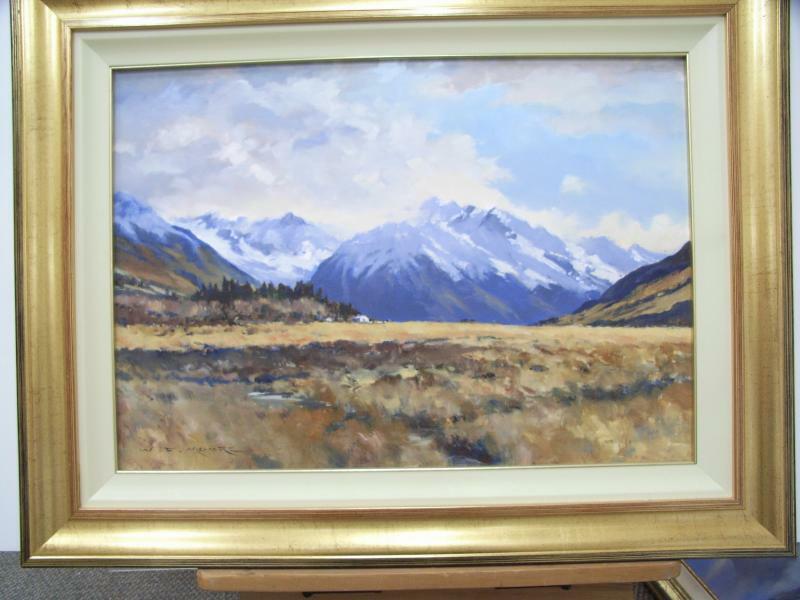 His works are held in private collections within New Zealand and overseas. 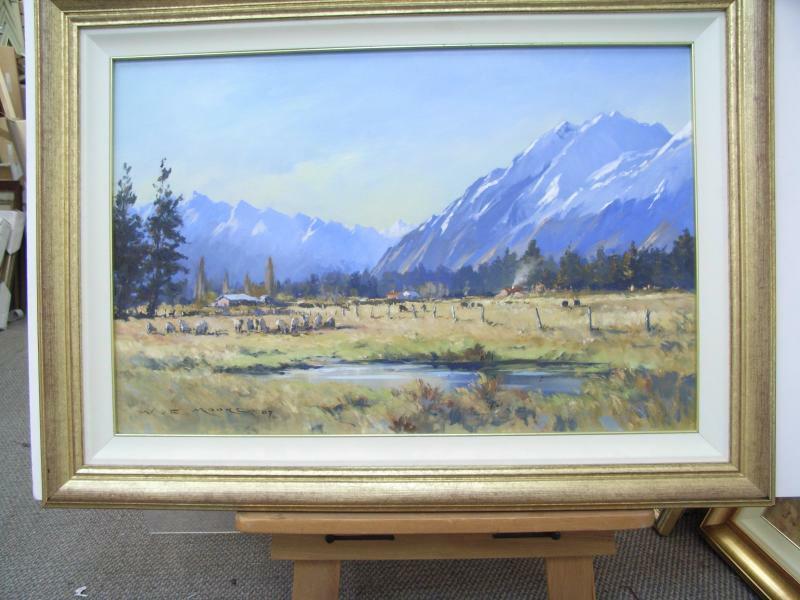 "Tramping in Haxley Valley, Lake Ohau"
"Lake Wanaka from Bremner Bay"
"River Avon, Mona Vale Christchurch"
"Afternoon Light, Ojen, Sierra Blanca, Spain"
"Old Town Marbella, Cote d'Sol, Spain"
"Cottages at Broadway, Cotswolds II"
"Cottages at Broadway, Cotswolds I"
"Good Boating Weather, Fowey, Cornwall"
Features this popular NZ holiday destination.Another Bill Moore well painted,in a simple box frame.Size given excludes frame. 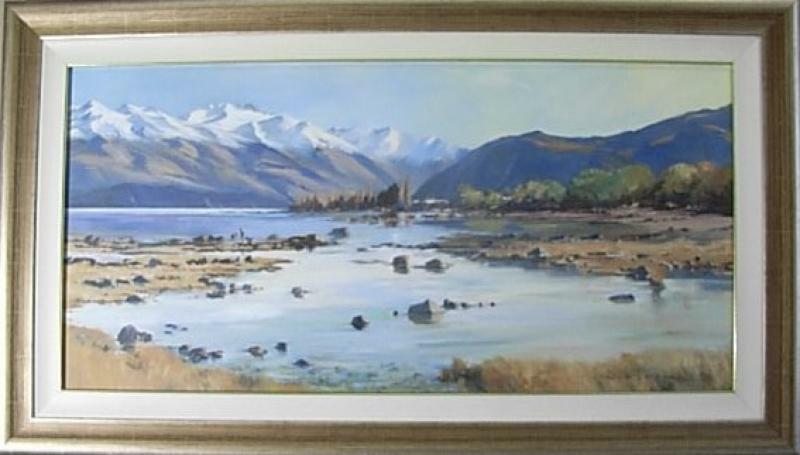 Available time pay,Investment artist,triple framed,size excludes frame. 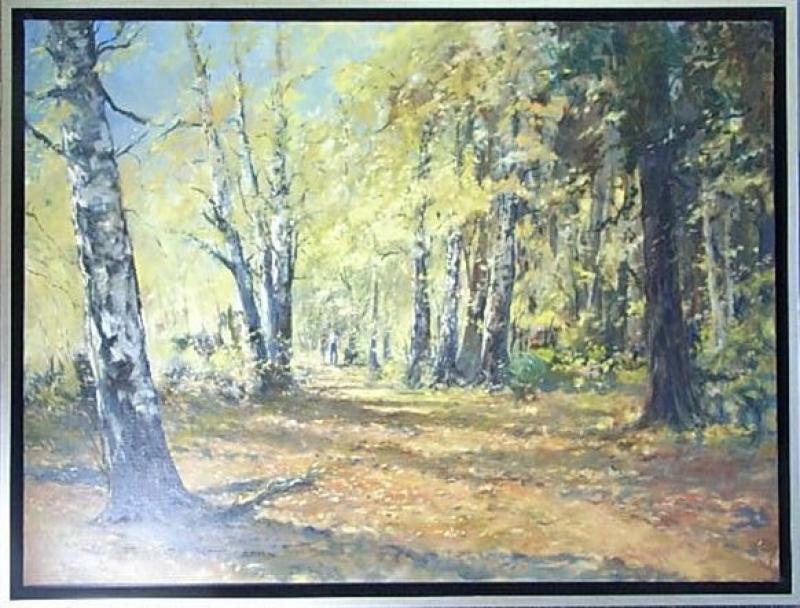 Sizes given exclude frame.Time payment available on this Investment work.Birchwood station sold from previous owner to DOC several years ago. 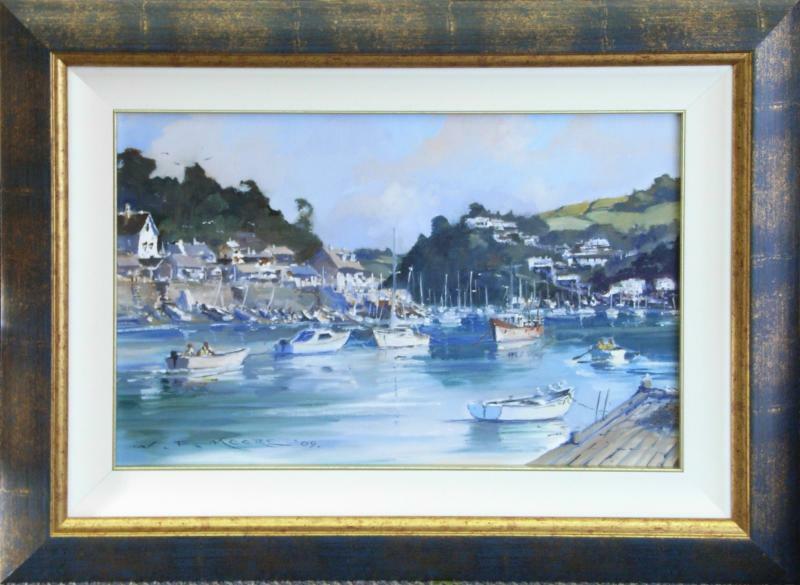 Note: Not all frames fit all images, if you would like frames for images, please contact us to ask about sizes available.